CLOSEOUTS. 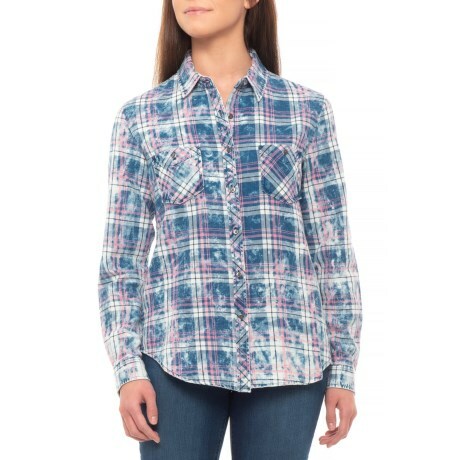 Rock andamp; Roll Cowgirland#39;s bleach-washed indigo-dyed plaid shirt offers a classic rustic look in a seriously soft button-up style. Available Colors: INDIGO BLUE. Sizes: XS, S, M, L, XL, 2XL.